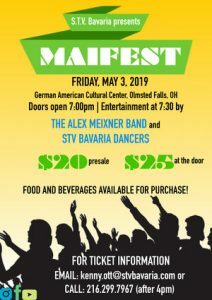 Celebrate the coming of spring with the Midweek Maifest on Tuesday, May 2nd. DSC, organizers of the C-U Oktoberfest, presents another traditional celebration with food, music, beer and merriment. 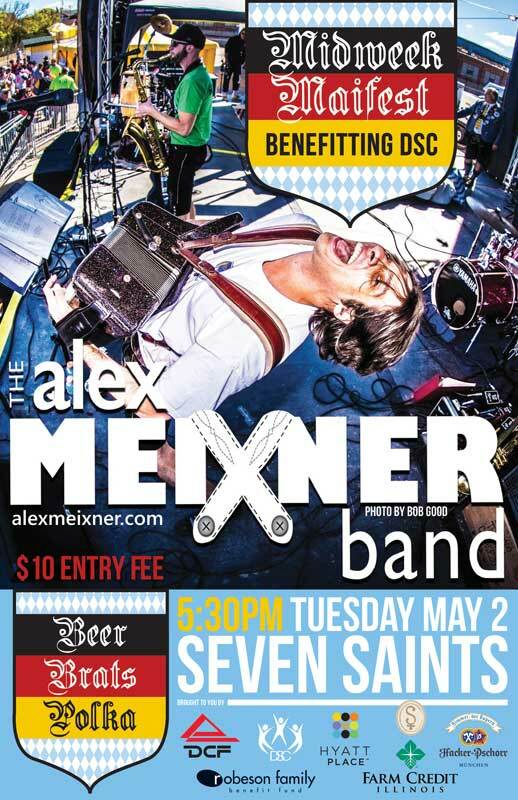 The event will be held in the Seven Saints annex and beer garden (formerly Mike N Molly’s) at 105 N. Market Street. It will be an early evening event with doors opening at 5:30 p.m. and music starting at 6:00 p.m. 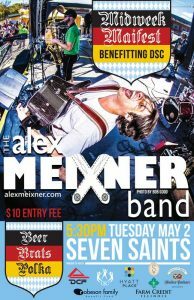 There will be featured beers from Hacker Pschorr, bratwurst, and music from the Alex Meixner band. Entry to the event is $10 for adults, $5 for kids 6-12, with free entry for children 5 years and under. All proceeds from the event will go to DSC. DSC supports people to live a rich and meaningful life. 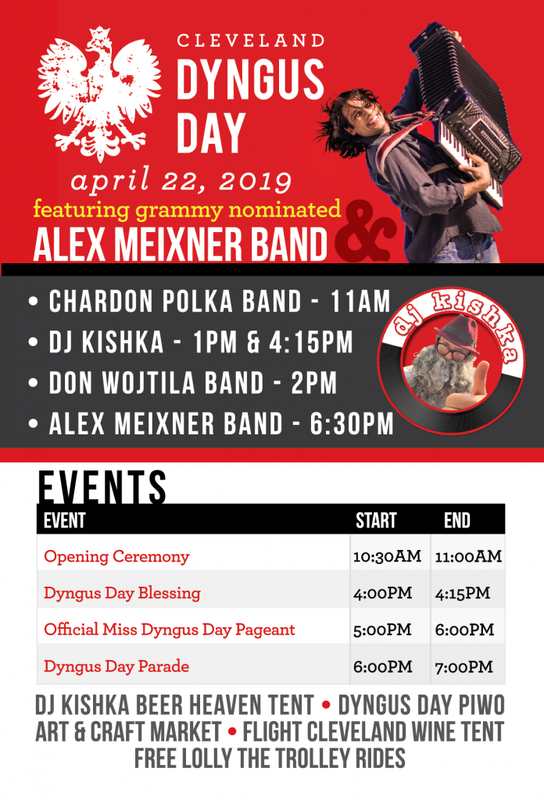 Sponsorship of the event is being provided by Farm Credit Illinois, The Robeson Family Benefit Fund, DCF, Hyatt Place – Champaign, Seven Saints and Hacker Pschorr. The event will be held rain or shine with everything moving inside in the event of rain.